2017-08: Tao has successfully defended her dissertation, and is the second PhD to graduate from the Dojo. Congratulations to Tao, and best of luck in your new life in Boston! 2017-07: Dowon and Scott's publication, "Rapid, Photomediated Healing of Hexaarylbiimidazole-Based Covalently Cross-Linked Gels", has been accepted for publication in Chemistry of Materials. Congratulations! 2017-07: Joe has left the Dojo for a professorship at Bowling Green University. Best of luck Joe! 2017-03-15: Tao, Joe, and Jae Hwan's publication, "In Situ Deprotection and Dynamic Covalent Assembly using a Dual Role Catalyst", has been accepted for publication in Chemical Communications. Congratulations! 2017-03-13: Jules will be working at the Dojo for the next three months as an exchange student. Welcome! 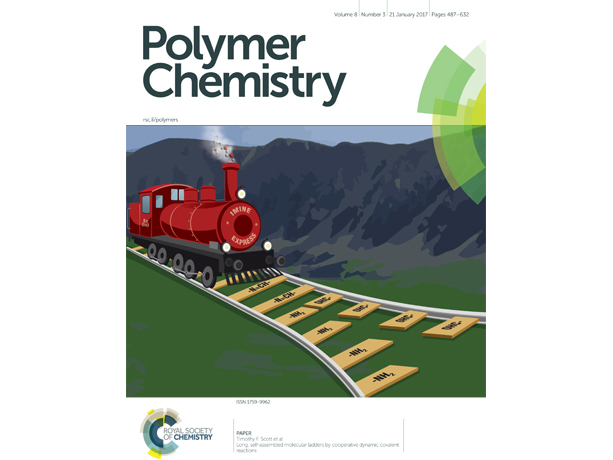 2016-12-30: Scott, Joe, and Nathan's manuscript, "Oxygen-mediated Polymerization Initiated by Oltipraz-derived Thiones”, has been accepted for publication in the Journal of Polymer Science, Part A: Polymer Chemistry. Congratulations! 2016-12: Tao, Joe, and Jae Hwan's publication, "Long, Self-Assembled Molecular Ladders by Cooperative Dynamic Covalent Reactions", has been selected as the cover article for Polymer Chemistry Volume 8 Number 3, January 2017. Congratulations! Please see slideshow above for a photo of the cover. 2016-11-23: Tao, Joe, and Jae Hwan's publication, "Long, Self-Assembled Molecular Ladders by Cooperative Dynamic Covalent Reactions", has been accepted for publication in Polymer Chemistry. Congratulations! 2016-10: Austin has joined the Dojo. Welcome! 2016-08-31: Jae Hwan is leaving the Dojo and returning to South Korea to take on a new position as lecturer in Seoul. Best wishes Jae Hwan! 2016-08-08: Abdulla has joined the Dojo. Welcome! 2016-07-29: Scott has successfully defended his dissertation titled "In Situ Polymerization via an Environmentally-borne Initiation Stimulus", and is the first PhD to graduate from the Dojo. Congratulations to Scott, and best of luck in your new position as Research Engineer at the National Institute of Aerospace! 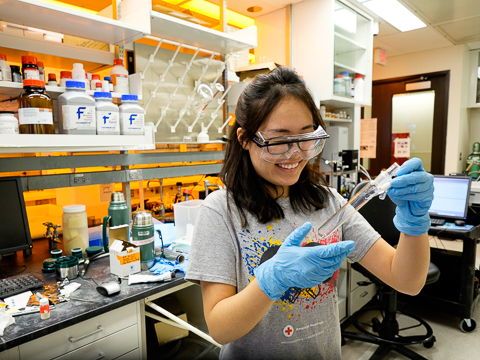 2016-06-21: Tao presented her recent work titled "Dynamic Covalent Assembly of Peptoid-Based Ladder Oligomers and Its Registry Mechanism" at the 12th National Graduate Research Polymer Conference in Akron, OH, and was awarded the 1st Place Oral Presentation Prize for the Biomaterials session. 2016-05-21: Megan was awarded the Overberger Conference Travel Award for her contributions to the Macro Outreach Program. Congratulations! 2016-05-21: Harry was awarded the Professor & Mrs. Albert Yee Student Leadership Award for his outstanding contributions to the ACS POLY/PMSE Student Chapter and the Macromolecular Science & Engineering program. Congratulations! 2016-03-29: Sam has received the highly prestigious NSF Graduate Fellowship Award! Congratulations! 2016-01: Scott and Tsatsa's publication, "Radical-mediated Enzymatic Polymerizations", has been accepted for publication in International Journal of Molecular Sciences. Congratulations! 2015-12: Tao and Jae Hwan's publication, "Dynamic Covalent Assembly of Peptoid-Based Oligomers by Vernier Templating", has been accepted for publication in Journal of the American Chemical Society. Congratulations! 2015-11: Professor Scott and Joe's paper, "Expanding the Alternating Propagation–Chain Transfer-Based Polymerization Toolkit: The Iodo–Ene Reaction", has been accepted to ACS Macro Letters. 2015-11-19: Megan presented the talk "pH-Mediated Hybridization of Complementary Dynamic Covalent Oligmers" at the AISES and was awarded 4th place overall in the graduate student division. Congratulations! 2015-11-08: Professor Scott presented the talk "Dynamic Covalent Assembly of Peptoid-Based Ladder Oligomers" at the national AIChE conference in Salt Lake City. 2015-10: Dan and Sam join the Dojo. Welcome! 2015-07: Scott's publication, "Rapid, Puncture-Initiated Healing via Oxygen-Mediated Polymerization", has been featured as an Editor's Choice article in ACS Macro Letters. Congratulations! 2015-07: Dowon's publication, "Hexaarylbiimidazoles as visible light thiol-ene photoinitiators", has been accepted for publication in Dental Materials. Congratulations! 2015-06: Joe joins the Dojo. Welcome! 2015-02: Junting leaves the Dojo and starts working at 3M. Congratulations and best of luck! 2014-12: Sameer has graduated with a Masters degree in Chemical Engineering, and Dowon has achieved candidacy. Congratulations!! 2014-11-13: Megan attended the 2014 American Indian Science and Engineering Society National Conference and presented her work on temperature-mediated dynamic covalent oligomer assembly. 2014-10: Harry and Max joined the Dojo. Welcome! 2014-09-27: Megan attended the 2014 Conference of Ford Fellows and presented her work on temperature-mediated dynamic covalent oligomer assembly. 2014-08: The Scott Polymer Dojo completed the move to North Campus Research Complex (Building 28). 2014-05-21: Megan passed her doctoral candidacy exam and is now a Ph.D. candidate. Congratulations! 2014-04-19: Dowon and Sameer clinch first place at the RadTech UV Curing Lab Experiment Competition 2014 organised by RadTech International. Congratulations! 2014-04-01: Megan has been selected to receive a 2014 NSF Graduate Research Fellowship Program (GRFP) Fellowship! Congratulations! 2014-04-01: Scott has been awarded a Phi Kappa Phi Research Grant to examine self-healing materials. 2014-03-29: Megan has been selected as a Ford Foundation 2014 Predoctoral Fellowship awardee! 2014-02-26: Prof. Scott has visited the 3M St. Paul campus to present a talk titled, "Reconfiguring the Connectivity of Cross-linked Polymer Networks" at the UM/3M Technology Symposium. 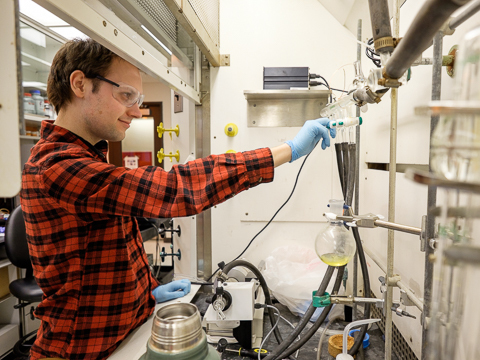 2014-02-19: Scott, Nick McHardy (UMich B.S.-MSE 2014), and Prof. Scott's manuscipt, "Oxygen-mediated enzymatic polymerization of thiol-ene hydrogels", has been accepted in the Journal of Materials Chemistry B. 2014-02-03: 2014-02-03: Sameer, Dowon, and Prof. Scott’s manuscript, "Re-examining the photomediated dissociation and recombination kinetics of hexaarylbiimidazoles", has been accepted in Industrial & Engineering Chemistry Research. 2014-01-04: Junting Li has joined the Dojo - welcome aboard! 2013-11-04: Tao and Prof. Scott attended the AIChE Annual Meeting in San Francisco where Tao presented a poster titled, "Dynamic Covalent Assembly of Information-bearing Oligomers". 2013-10-24: Scott, Dowon, and Tao presented posters on their research at the 37th Annual Macromolecular Science and Engineering Symposium at the University of Michigan. 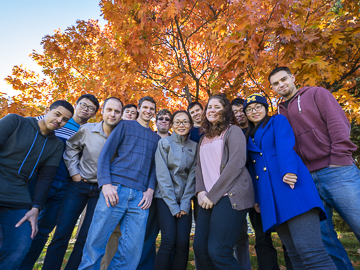 2013-10-24: Tao attended the Chemical Engineering Annual Blue Green Seminar at the University of Michigan and presented a poster titled, "Dynamic Covalent Assembly of Abiotic Information-bearing Oligomers". 2013-10-01: Sameer Sathe, Megan Dunn, and Jae Hwan Jung joined the Dojo - welcome! 2013-09-10: Prof. Scott attended the 246th ACS National Meeting in Indianapolis, IN, to present an invited paper titled, "Dynamic Covalent Assembly of Information-bearing Oligomers". 2013-08-30: Prof. Scott, in collaboration with Prof. Brian Clarkson and colleagues at the University of Michigan School of Dentistry, has been awarded a U01 grant from the NIH. 2013-06-12 – 2013-06-13: Prof. Scott and Dowon attended the 3M Science and Engineering Faculty Day, held at the 3M St. Paul, MN, campus, and presented a poster titled, 'Detecting and Addressing Stress and Fatigue in Polymer Networks'. 2013-05-07: Scott has gone to the NASA Langley Research Center in Hampton, VA, to continue his research this summer. 2013-03-08: Prof. Scott has been awarded a 3M Nontenured Faculty Grant. 2012-10-08: Dowon Ahn and Tao Wei have joined the group - welcome to the Dojo! 2012-04-27: Scott has been awarded a NASA Space Technology Research Fellowship (PI Prof. Scott) - congratulations Scott! 2012-03-17 – 2012-03-22: Prof. Scott has left for Nara, Japan, to present at the Nara Institute of Science and Technology the invited papers "Reconfiguring the Connectivity of Cross-linked Polymer Networks" and "Frontiers in Free Radical Photopolymerization". 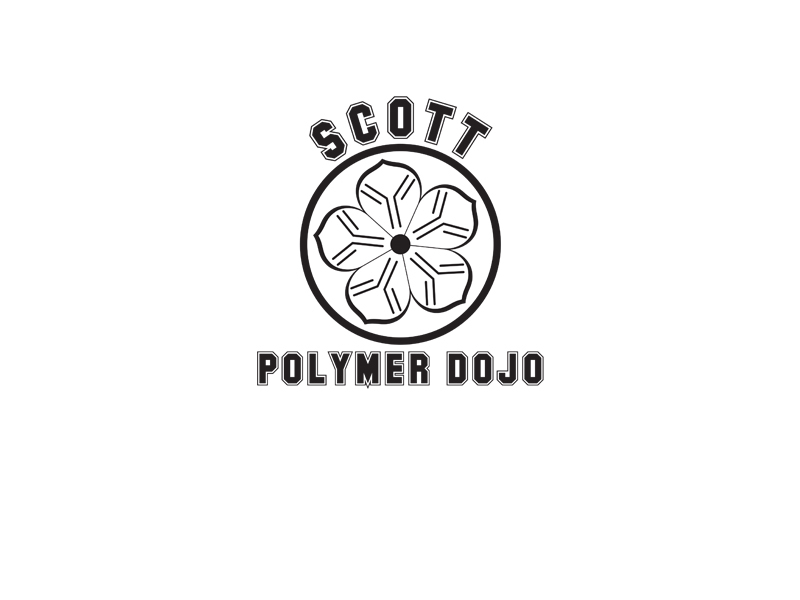 2011-08-17: Scott Zavada has joined the newly-established Scott Polymer Dojo!